At Glastonbury, the Greenpeace field stands for so much more than environmental consciousness. It’s a central place where festival goers come together to experience incredible moments, witness new art and understand the true message behind Glastonbury. Our good friends at Greenpeace wanted a centrepiece installation for the field to attract thousands of people every night, and be a central point of focus that reflected their values. This piece would show the beauty of nature and support their #standforforests campaign. It was important too that the build would be as sustainable as possible. This was an exciting challenge for us, and we are always overjoyed to be a part of such an incredible festival. We decided to make the pull of the Greenpeace field stronger than ever by putting an 18 metre tall ‘Rave Tree’ at its centre. We packed the structure with innovative, vibrant lights to really bring it to life. 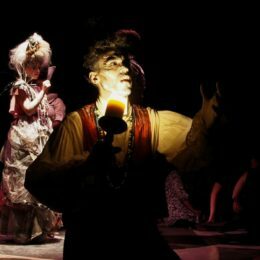 These included a flexible lighting design capable of representing all four seasons over a single night. We needed to ensure that the tree could accommodate huge crowds at night, so we built a moving lighting rig to fill the dance floor below it. Snow and haze effects added to the atmosphere, picking up light at distance from the tree and keeping the whole crowd immersed. On top of that, we didn’t use a single incandescent light in the whole tree. Instead we exclusively used LEDs, to ensure the smallest possible carbon footprint. 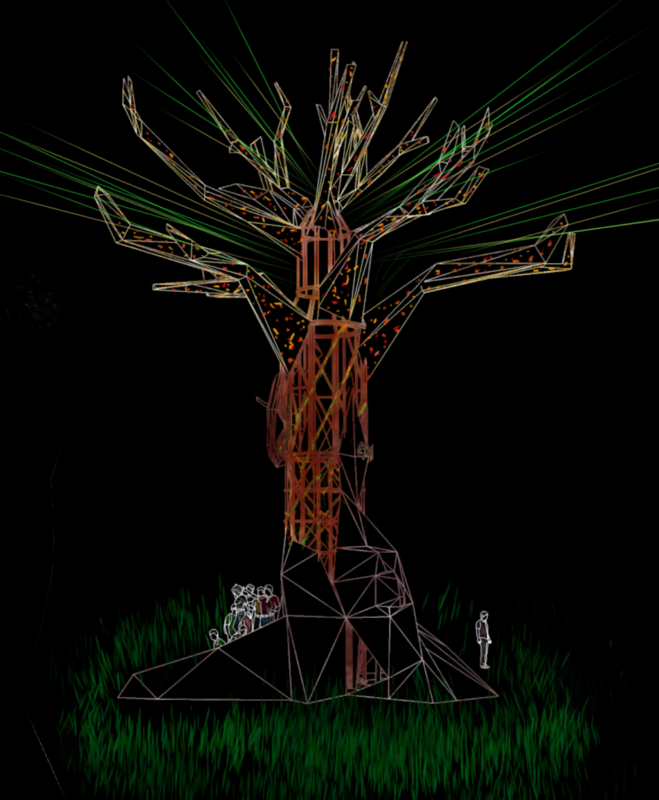 That year, the Rave Tree became one of the festival’s most memorable experiences. 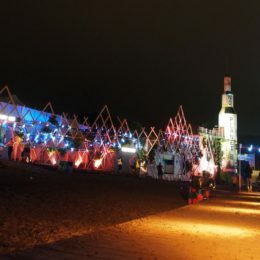 The atmosphere created by the tree’s lighting turned the Greenpeace field into a magical forest, living and breathing in light throughout the event. The tree helped Greenpeace create the excitement and footfall that they needed. That year, Greenpeace had a record number of signups because they were able to engage with a bigger, broader crowd. We helped them communicate a message of sustainability in a sustainable way. It was one of our most unforgettable builds, and we’re still proud of it to this day. So the word went out, ‘Let there be light,’ and up stepped Bailes and Light to deliver a stunning piece of work lighting the giant tree, the centrepiece of the Greenpeace field at Glastonbury Festival 2017. Working to a very tight budget and schedule the illuminated tree fulfilled its mission and attracted thousands of revellers every night and bathed them with an ever changed symphony of lighting and effects. If you need lighting to bring in the crowds to your event or installation, give us a call.